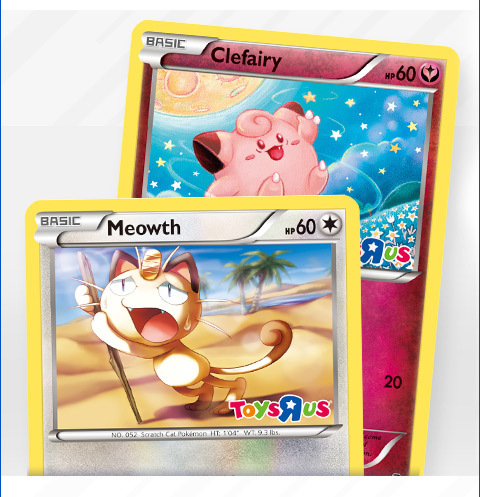 On April 2, 2016, there will be a Pokemon Card trading event at Toys R Us. My son loves Pokemon. Love is probably an understatement. We have spent a whole lot of money on these sets. He always wants the Ex cards and the Mega cards. These two cute cards are being given out while supplies last. We never went to a Pokemon event at the store. We have done the Lego events and enjoyed them. I have a feeling we will be buying something while we are there. 20 years of Pokemon. Do you have a favorite? I think Pikachu is adorable. Gotta collect them all.